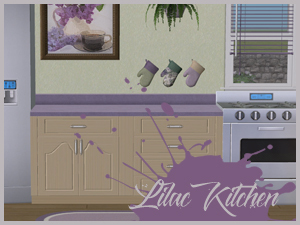 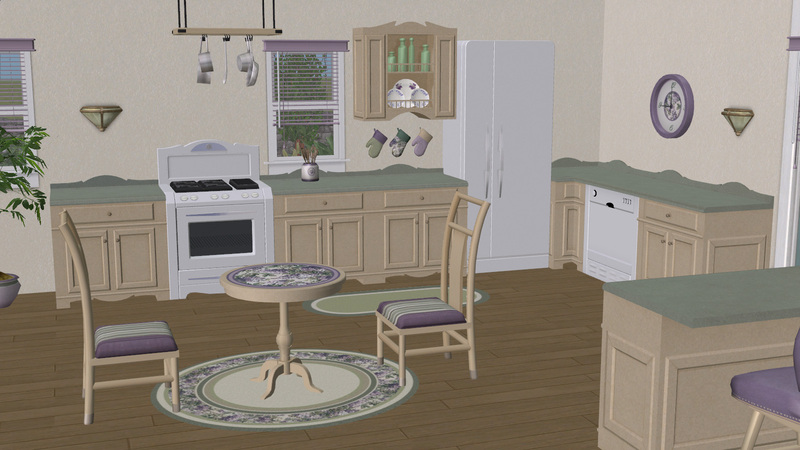 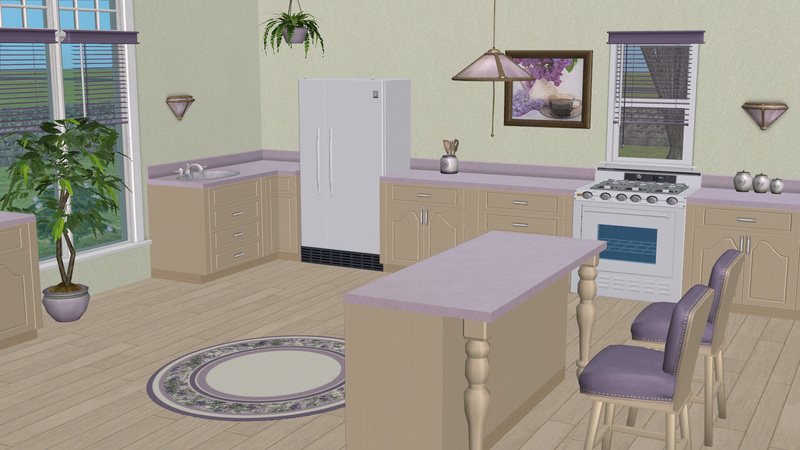 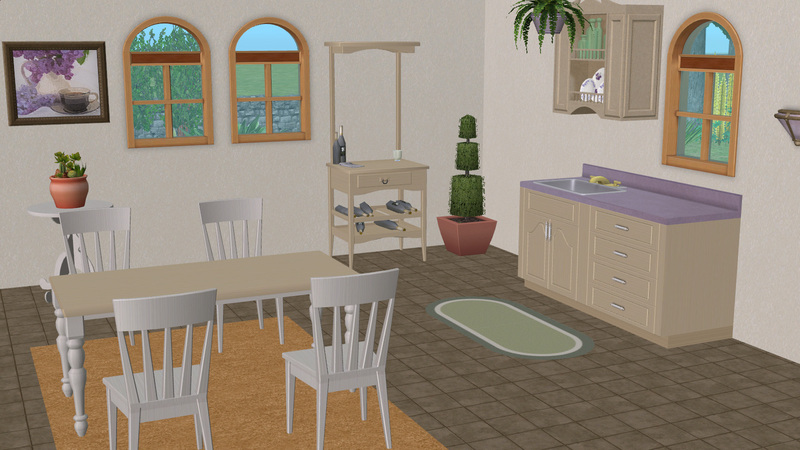 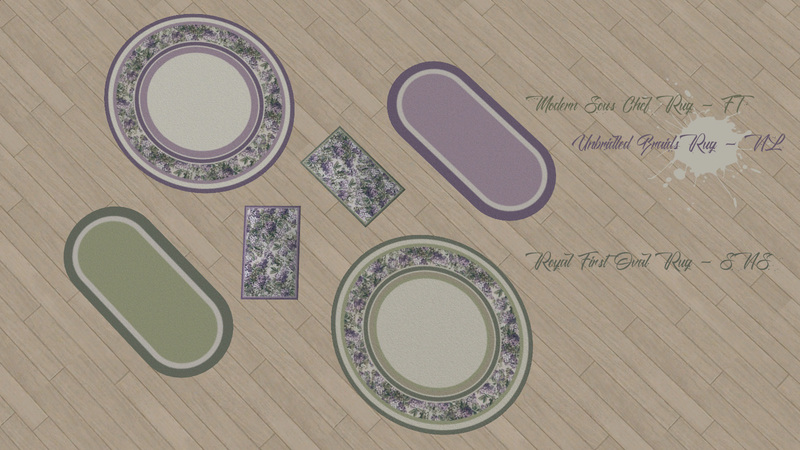 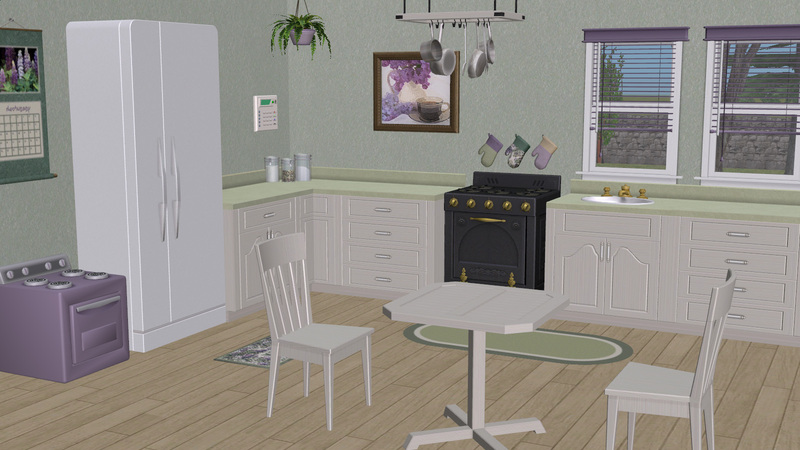 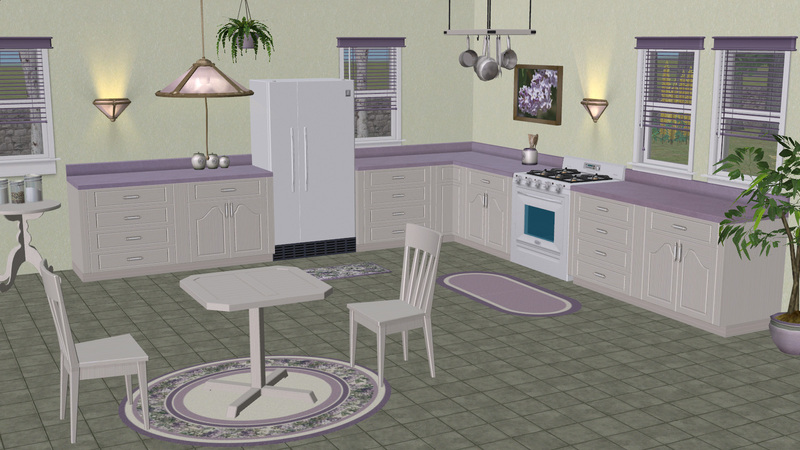 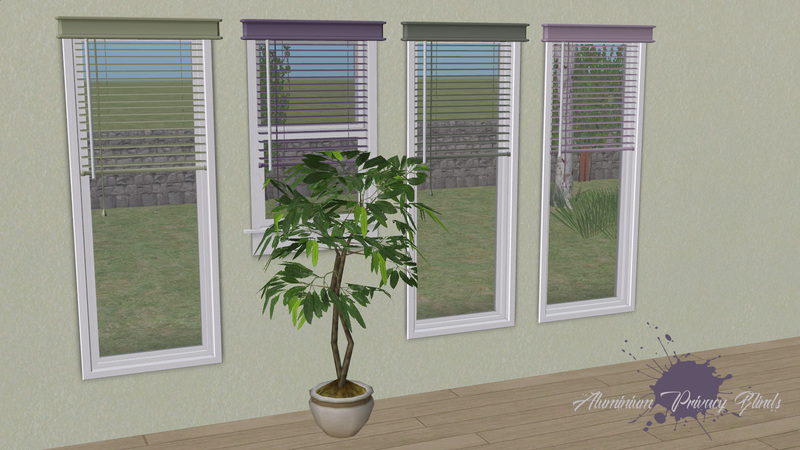 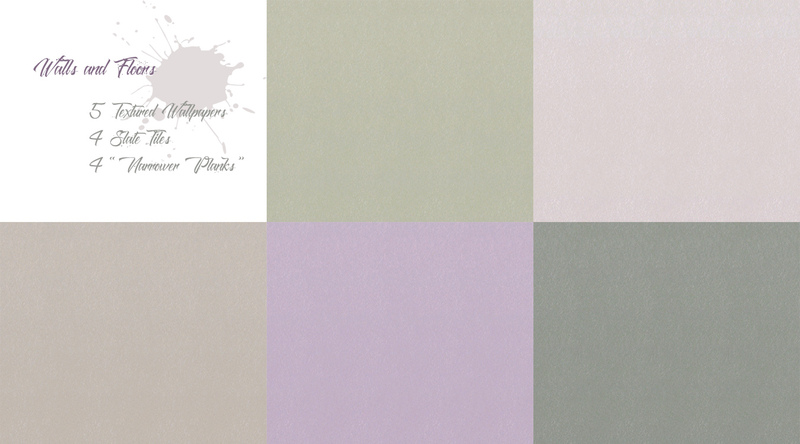 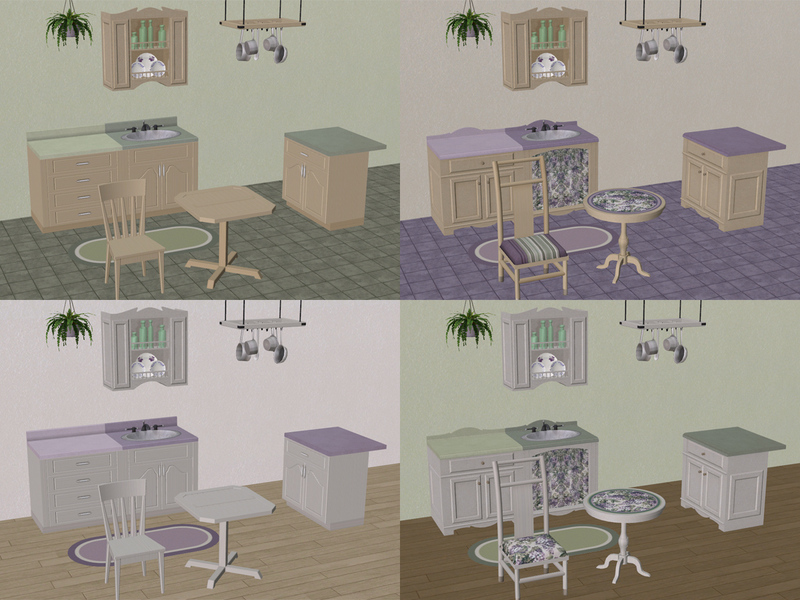 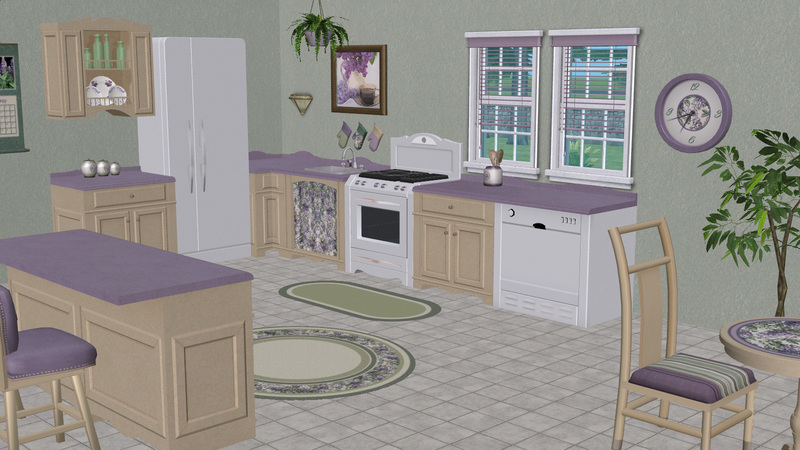 Following the Lilac Living Room, it's on to the kitchen! 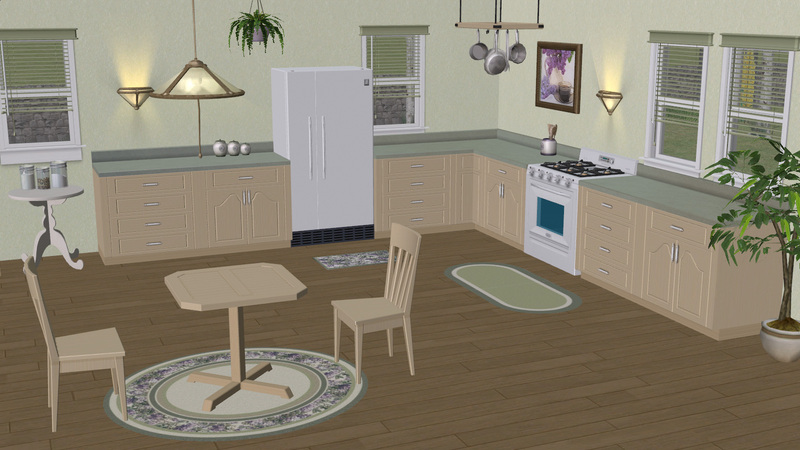 This is a muuch smaller set than my usual kitchen-and-dining rooms. 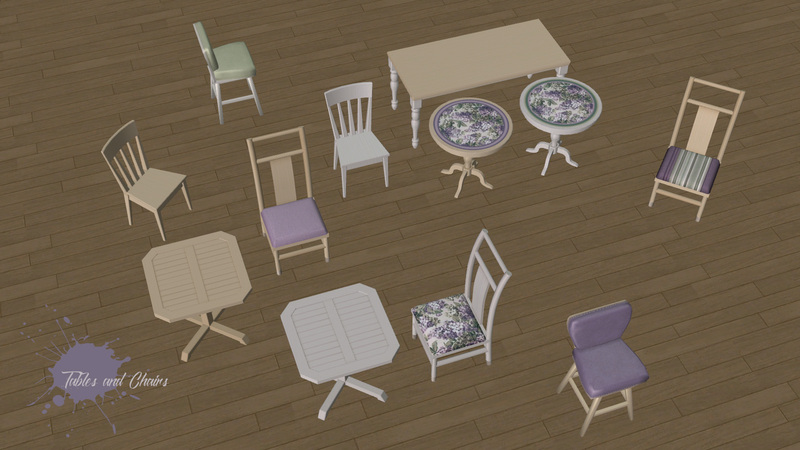 I really only needed a few bits for a cottage I'm working on, but I still wanted to make a set useful enough for "non-cottage" use, and to include enough base game options for most game configs. 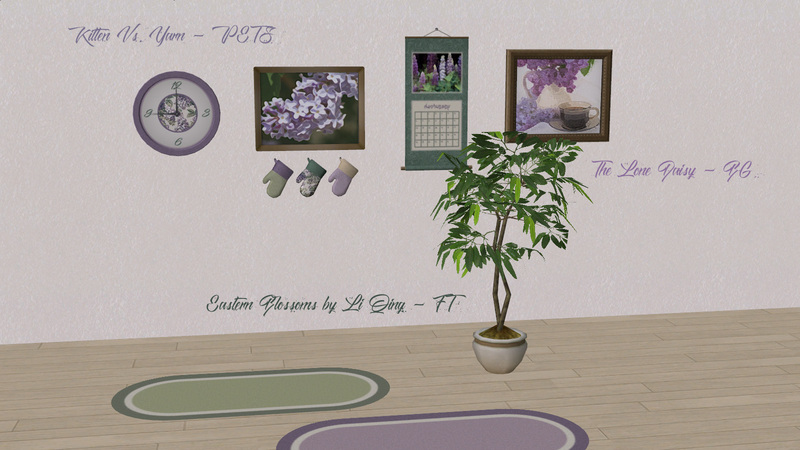 Usual standards apply -- good with HL's Rug Fix, all Compressorized, and collection file & icon are included, along with some new walls and floors. 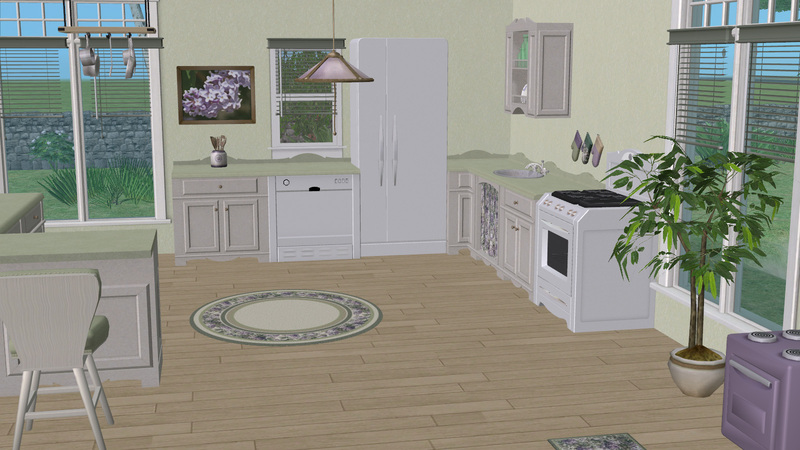 Appliances pictured are from my White Appliances. 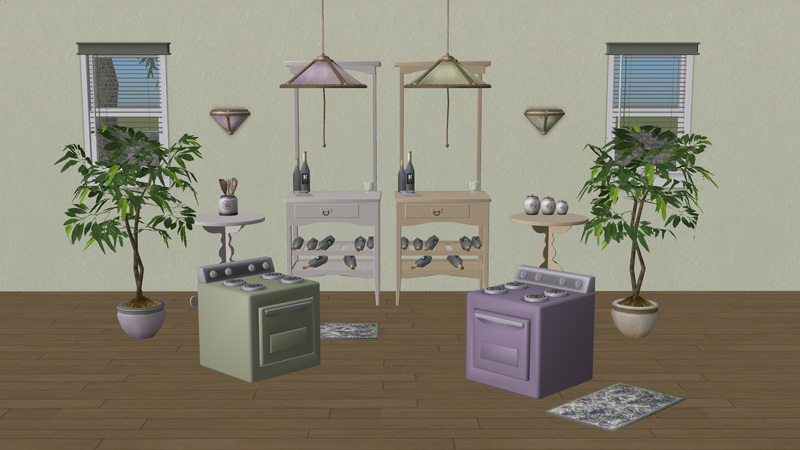 Thanks to the Crumplebottom's Hideaway theme for encouraging me to play around with a different style, and of course, gobs of appreciation to Numenor, Quaxi, RGiles, and everyone who contributed to CEP and SimPE!